The text message is 26 years old today. According to a report, the worldwide SMS traffic is growing at 8.3 trillion annually! 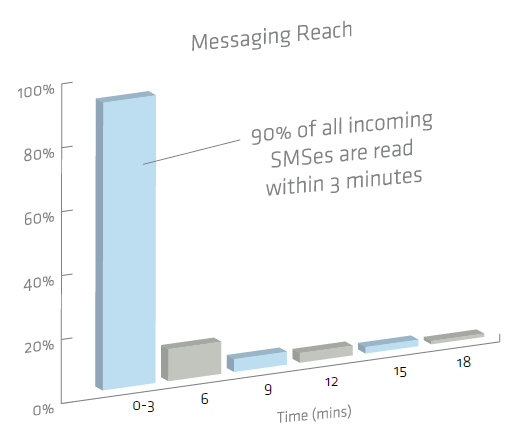 SMS is a direct and instant channel, with 90% of incoming messages being read in three minutes. SMS campaign (also called SMS marketing) is a great strategy to broadcast business updates, promotions, offers to the customers. It is similar to email campaign in theory but only better! Emails tend to get long and rambling, and it is easy to lose context. However, SMS requires you to deliver your message in 160 characters, and this character constraint works to its advantage. 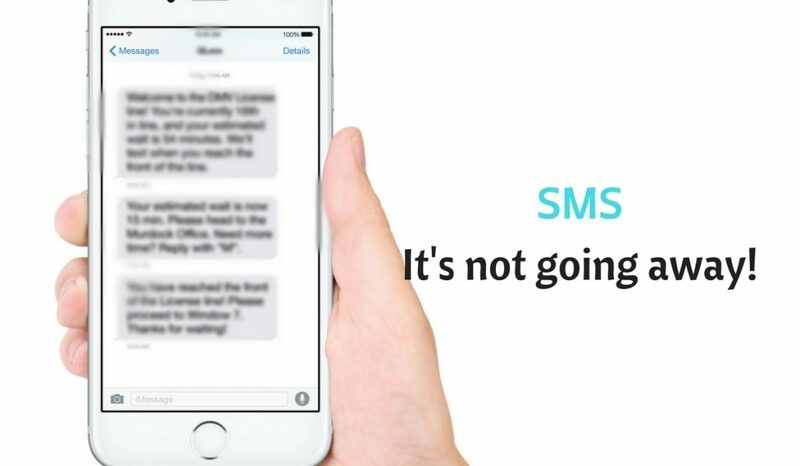 In the past, people have predicted the death of SMS many times, but it has emerged triumphant every single time. Everyone understands SMS – Almost everyone who has a phone is aware of the how-tos of text messaging. Feature phones, smartphones, barely alive phones, made in the age of yore phones, they all can still be used to send and receive SMS. Therefore, SMS is an assured method of targeting your customers. SMS has the best open rates – It has a high open and opt-in rates of 95%, against email open rate of 11%. Unlike emails which have a risk of filters and the mail landing in spam, you can be sure that your SMS reaches the inbox of the customer. SMS marketing is hence a favorite mode for enterprises and political campaigns to amass an audience. It’s easy on the pocket – You do not have to spend a greater chunk of your marketing budget on an SMS campaign. SMS marketing campaign is surprisingly cost-effective. It is just as easy to track the marketing ROI of an SMS campaign, by including a URL to track the click-through rate (CTR). If your aim is to get your customers to talk to you, all you need to do is include a unique virtual number. The above analytics can help businesses to further their targeted campaigns, while also building a better clarity of their customer database. This will help in characterizing and segmenting customers that are least likely to respond to SMS campaign and target them via another medium. 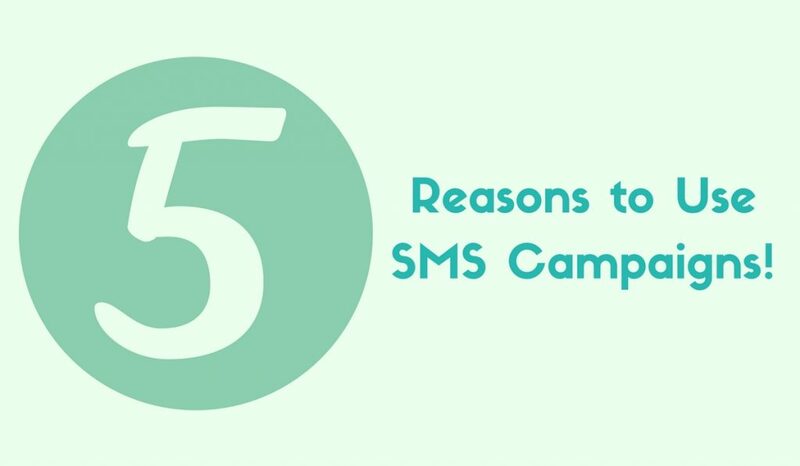 Now, that we have all the technicalities out of the way, let’s look at 5 reasons why your business should use SMS marketing campaigns. 1. 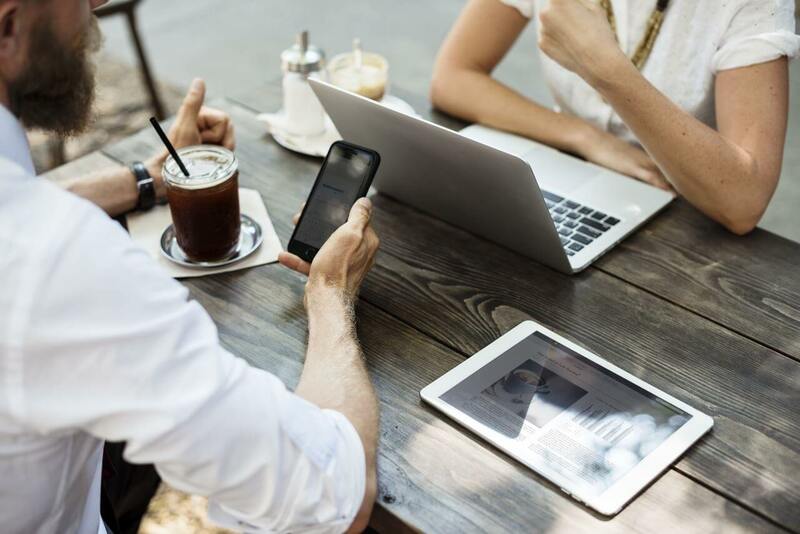 Increased customer engagement: Customer experience has outranked other objective factors like price when it comes to potential customers trying out a new business. Relaying information which makes the customer feel exclusive like “insider deals” are sure to grab the attention of the customer and acknowledge the CTA. a. Exclusive offers: For example, Capital Float uses Exotel’s SMS campaigns to send exclusive offers to their customers. b. Survey and polls are another forms of ensuring customer engagement. Expressing their opinion on surveys will make the customers feel like their voice is being heard, which makes them more interested and invested in your business. 2. Customer conversion: SMS campaigns can not only be used for customer engagement, but also for conversion. Once you have a database of potential customers, you can initiate a campaign by sending out messages with distinctive deals that will interest them. Automated drip SMSes can be sent to customers depending on how long they have been subscribed to your campaign. SMS campaigns are successful because they’re personalized and sent to the customers who are opted-in to receive them. Personalization does not only mean including the customer’s first name in the message. For instance, Purplle, one of our customers at Exotel sends out exclusively curated deals via SMS campaigns (via our SMS APIs). This is one way of ensuring that customers never opt-out of your text messages. Understanding the target market and sending right texts to the customer will strike a chord with them, and ensures that in addition to the message being read, they open any SMS from your business every single time. 4. Building brand loyalty: SMS marketing offers the most straightforward way to build brand loyalty. A well-curated SMS campaign can improve customer experience, and build brand loyalty all at once. Information regarding special events like birthdays can be asked from the customer during the time of the opt-in, and the same can be used to send a personalized wish. 5. 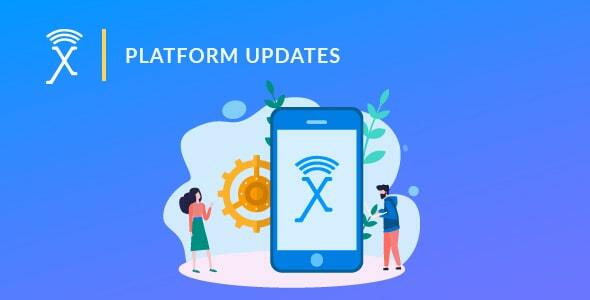 Unintrusive updates: You can set up a campaign to send out information updates regarding the order status, account updates etc. This is one area where you can completely do away with manual intervention and completely automate the process. 1. Sending the same message to your entire user base – Often, we end up receiving SMS that has no relevance to us. You get offers for loyalty programs from brands you have no recollection of even doing business with. One way to make sure that your customers are not put off by your messages is to ensure that you segment them. What this means is, divide your user base into buckets based on their interaction with you, usage patterns, and more importantly, what you want them to do after reading your message. 2. Assume that your message can go out at any time of the day – Understanding the right time to reach out to your customers is extremely important. The only way to do this is to experiment with different times and picking what works for you and your business based on the response. A word of advice here – there is a lot of literature on the internet about the best times to send an SMS. Read them, but make your own conclusions based on your experiments. Because every business, vertical, market and target segment works differently. Keep your messages short and relevant. It might be tempting to try and cram as much as possible in one single text message. 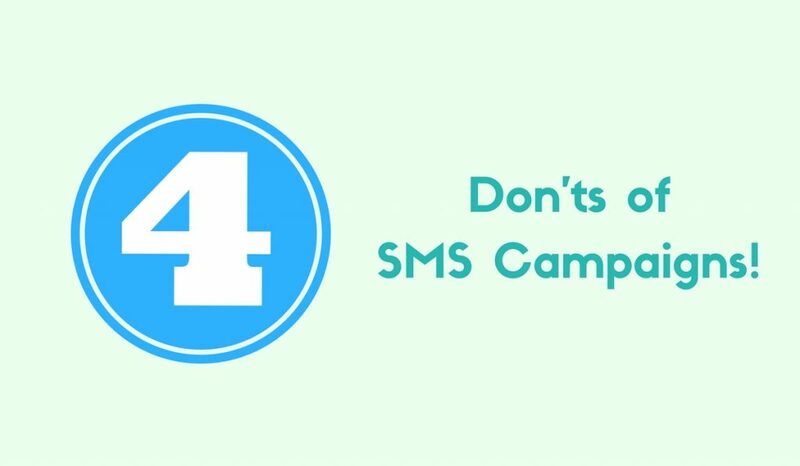 But pick out a CTA before you even think of creating an SMS campaign. Remember, the SMS marketing is only a technique and SMS campaign is only a medium. Your messaging always trumps your medium. What you need to do: Keep your messages short, and to the point. 4. Do not spam – Nobody likes a spammer. Even if you are sending SMSes to customers who have opted to hear from you, it is necessary to understand that the access to their inbox is a privilege and one you should never abuse. What you need to do: Keep your frequency minimal and the only SMS when you have something important, interesting or relevant to say. And always give the customer the flexibility of opting-out. They will associate a lot more with your business when they are not obligated to stay put. Sending SMS texts to customers manually is not a viable option, as it is time-consuming and prone to errors. Automating SMS campaigns involves no manual effort, is a lot quicker, and increases the efficiency of the whole process. You need tools to start an SMS marketing campaign. 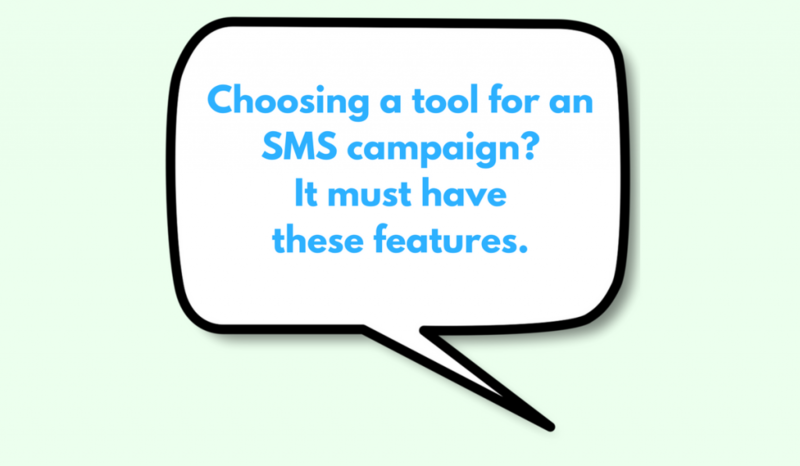 What are some of the questions you should ask yourself before picking a tool to launch your SMS campaign (s)? 1. Trackability: The leads and response you receive via SMS should be tracked and analyzed. Therefore, the campaign provider must provide a means to track the analytics (easy-to-understand reports, real-time monitoring, etc. ), or allow for easy integration with your CRM. 2. Reliability: While it is impossible to promise 100% delivery rates, because of the possible network and infrastructure issues, the provider must ensure superlative handset delivery rate and uptimes. 3. Scalability: During festivals and?holidays, there’s a good chance that your SMS volumes will increase. Your SMS campaign provider must be able to scale along with your expanding volume without you having to break your head over it. P.S. : Sign-up for a 15 day free trial with Exotel and try out our solutions yourself!